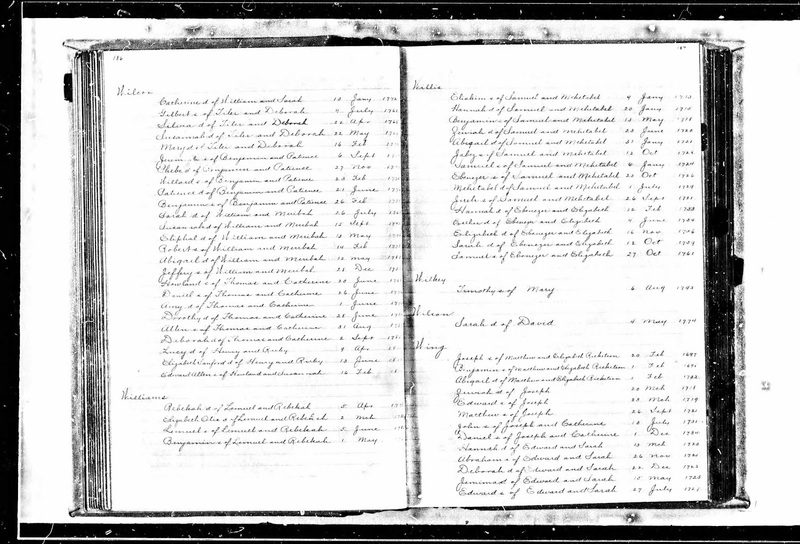 "Wing, Benjamin of Matthew and Elizabeth Ricketson 1 Feb 1698"
Massachusetts, Town and Vital Records, 1620-1988, digital images, Ancestry.com (http://www.ancestry.com), "Dartmouth, Births, Marriages, Deaths," page 187 (image 97 of 2331), Benjamin Wing entry. Benjamin Wing (1698-1782) was the son of Matthew and Elizabeth (Mott) (Ricketson) Wing of Dartmouth, Massachusetts. He married (1) Content Tucker (1695-1738) of Dartmouth, Mass., the daughter of Abraham Tucker and Hannah Mott, in 1722 in Dartmouth. Benjamin and Content (Tucker) Wing are my 6th great-grandparents. I am descended from their daughter, Abigail Wing (1734-1806), who married Jonathan White (1732-1804) in 1756 and resided in Dartmouth and Westport, Massachusetts. This record for the marriage is a Derivative Source record, because it was copied from an earlier town and/or church record books. 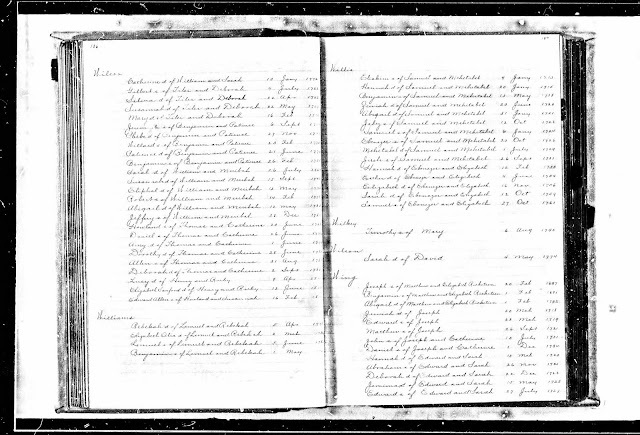 I did not find an earlier Dartmouth town record book in the Ancestry.com record collection.